There are some things that you don’t need to directly experience to appreciate. You don’t have to walk on the moon to marvel at the moon landing. You don’t have to attend a football game to be a loyal fan. 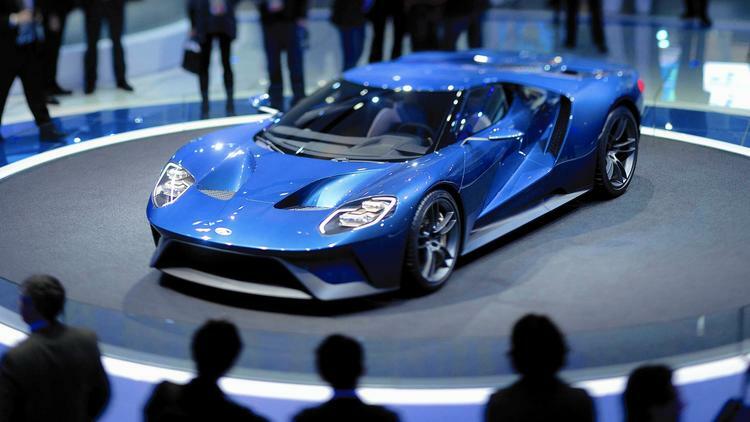 And you, like us, don’t have to ever drive, let alone own, a Ford GT to get very excited about its release later this year. It’s a work of genius. What some people don’t know about the GT, though, is that it draws its name and inspiration from one of the most important vehicles in American automotive history. As strange as it may sound now, in 1963, Ford and Ferrari were both interested in merging. Ford wanted to venture into the racing world, and Ferrari liked the idea of gaining Ford’s funding without having to give up their unique identity. When, after lengthy negotiations, Enzo Ferrari backed out of merger talks, Henry Ford II was furious. And if he couldn’t join them, Ford was going to make sure he beat them. The Ford GT40, from which the new Ford GT takes its name, was a work of art in its own right, but beating Ferrari at their own game didn’t come without its fair share of hurdles. The first two years that Ford sent GTs to the legendary 24 Hours of Le Mans, all their cars failed to even complete the race. But in 1966, Ford finally beat Ferrari. And then they did it again in 1967. And in 1968. And in 1969. After trouncing the world’s leaders in distance racing four years in a row, Ford shifted its focus away from racing. Henry Ford II had made his point. But the legendary GT40 lives on in spirit in the upcoming Ford GT, which may end up taking on Le Mans itself before all is said and done. « Little Engine, Big Heart!